Small lots need plant love too, and don’t think for a minute that if you don’t have the biggest plot that you’re missing out. There’s no shortage to the creative inspiration behind stunning garden designs using simplistic natural garden products and plants that thrive in small spaces. These plant beauties are some of our favorites! Browse the Learning Center for more garden design ideas. Reaches 20 ft tall and 15 ft wide. Shade this plant during hot and sunny afternoons. This Japanese maple is a small garden stunner, taking to pots and containers with ease while perching comfortably on a deck or shading a outdoor living space. But, it’s not the low maintenance that makes this plant shine- it’s the myriad of splendid colors it puts on display throughout the changing seasons. From minty green leaves and coral bark that transforms to a brilliant light color in winter to leaves that burst with fiery yellow and orange during autumn, it’s a sound choice for any small garden. Needs at least 6-8 hours of sun. 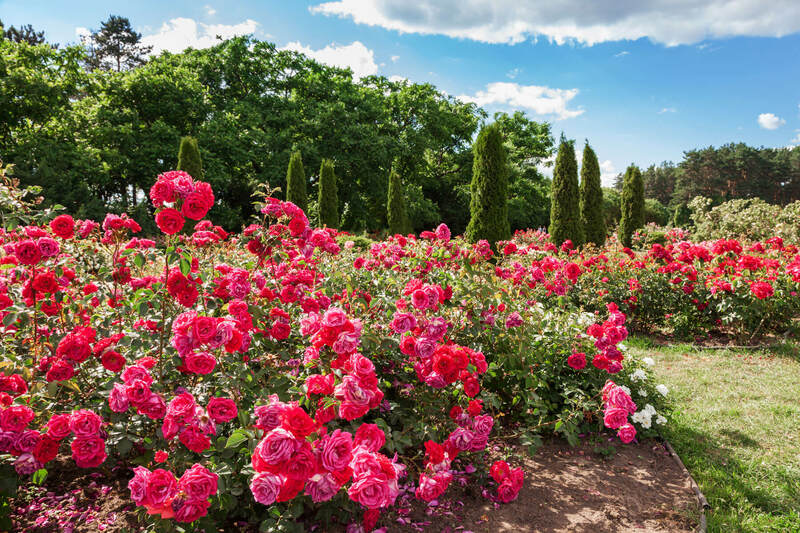 The landscape rose, or Rosa ‘Flower Carpet’ is as easy going as it gets when it comes to plant maintenance. This rose is of a newer variety, developed to withstand disease and the harsh elements. Not at all picky, you can plunk these flowery little darlings anywhere, from a container to a hedging or along a pathway. They take over gardens with blooms that explode in delicious hues of creamy whites, pinks, reds and gold from spring until fall. Reaches 6-8 ft. tall and 5-6 ft. wide. Add a bit of shape to your mini plot with a hardy dwarf conifer, offering the favorable qualities of slow growth and little maintenance. The dwarf hinoki cypress hails from Japan, popular for it’s thick, lush appearance and deep green hue. They come in all sorts of quirky shapes, and work great as a focal point in a garden, or used as screening. You can even plant them in containers. Looking for soils, pottery or mulches for your garden? Interested in utilizing fire glass for your fire pit? Contact Margo Garden Products and we can answer any questions you may have!